It's not often I get to type the word 'Zelda' on this website, but here's a decent excuse: someone has gone ahead and made a Legend of Zelda level creator, based on the success of Nintendo's own Mario Maker. It's unofficial of course, and Nintendo is likely to spit the dummy as soon as it cottons on, but creator Justin Sink has already assured that he claims to change it. 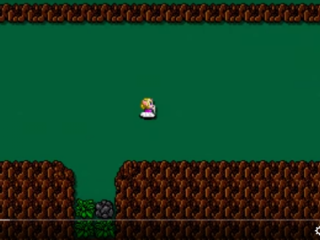 "Zelda Maker (Temp) is a non-official project started by myself, which will allow players to create and share Legend of Zelda worlds of their own," he writes in the YouTube description. "Nintendo might cease and desist a project like this, so in time, when I've got the ability to change the sprites, I will do so, and I will also add things that Zelda games don't have to make it a somewhat unique experience. "Regardless, I won't be acting like this isn't going to be a Zelda (Maker?) clone, through and through. I'd just like to add some things that I think official Zelda games could use. This is a very early build of the game, and it does not represent what the final game will look like." If you're keen to give the alpha a go, it's currently downloadable via the Mediafire link in the YouTube page's description. Even if it ends up being, like Sink says, an editor for a Zelda clone, it'll still be worth checking out if the toolset is fun and it establishes a creative community.